Studiochris offers outstanding photography work at affordable rates. We are highly creative, focused on detail and committed to provide high quality photography work. Our packages are build according to the latest demands in newborn photography. Our Creative driven photography style is crafted to stand the test of time. Take a quick glance at our portfolio and see a timeless collection of great images. This is a time of celebration and excitement. Studiochris offers exceptional photography services for mothers wishing to preserve their memories of child bearing. In-Studio, outdoors or in the comfort of your home we deliver artwork images. Dedicated maternity photography gowns and outfits will be made available. Take a quick pick to our maternity Photo gallery. Thank you for stopping by. 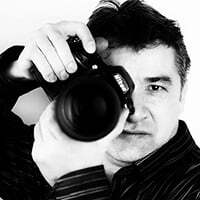 I'm Chris owner & Lead Photographer at Studiochris based in Kitchener. If you like my work then don't hesitate to reach out.